Home » Gadget » Xiaomi Mi A2 and Redmi Y2 Ready to Glide Globally in India? Xiaomi Mi A2 and Redmi Y2 Ready to Glide Globally in India? Xiaomi Mi 5X first glide in China before finally introduced globally in India with the name Mi A1. As already known, this smartphone comes with MIUI 9 in the homeland and launched into the global market as a device that supports Android One or Stock ROM. 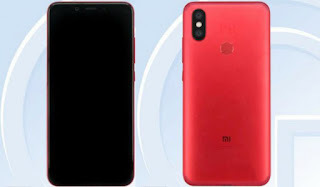 According to a number of leaks that recently unfold, the China-based company is apparently preparing a successor that is likely to be called Mi A2 or Mi 6x. This phone is allegedly also going to pierce on the global stage with the name of Mi A2 after getting a certificate from TENAA. Meanwhile, according to a source on Twitter, this phone is likely to be present also in India. This is known from the Xiaomi web site source code in the country located in South Asia. In a barrage of code that successfully dismantled the existence of words like 'Mi A2 Hard Case', Redmi Y2 Perforated Case Black and Redmi Y2 Perforated Case Blue. Recent reports reveal that this smartphone will likely be equipped with a 5.99 inch wide screen and will be powered by a Qualcomm Snapdragon 626 chipset which is an octa core processor with a speed of 2.2 GHz. Its performance is also strengthened with 4GB of RAM and 64GB of internal memory. Xiaomi Mi A2 is also rumored to be carrying a double camera in the back with a resolution of 20 + 8MP which each comes with f / 2.0 and f / 1.8 diaphragms. While the self-shooting tool is equipped by a camera with 20MP reoslution at the f / 2.0 lens openings. The operation of the device will then be powered by a battery with a 2910mAh power capacity. Like its predecessor, Xiaomi Mi 6X will run MIUI 9.5 with Android OS minus Google. As for Xiaomi Mi A2 staying digadang comes with Android One operating system made based on stock ROM Oreo 8.1. Finally, Xiaomi Redmi Y2 is probably the successor of Redmi Y1. In Indonesia, Redmi Y1 was launched under the name Redmi 5. Unfortunately, the specification details of this device until now still not revealed. 0 Response to "Xiaomi Mi A2 and Redmi Y2 Ready to Glide Globally in India?"